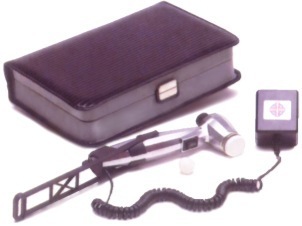 Developed by a Migraine sufferer for Migraine sufferers. The Migra Cap? is unique amongst migraine treatments as it combines cold therapy and complete darkness to provide relief from the pain associated with a migraine and most types of headaches. In a Migraine Action Association Trial 8 out of 10 sufferers found Migra-Cap brought relief. "Using the Migra-Cap has brought almost instant relief and has shortened the duration of the migraine attacks." - Mrs Tina Hamilton, Wales, UK. This 2-in-1 migraine cure is unique for any Migraine treatment product with the added benefit of being a one-off purchase. What's more, this drug-free product is also ideal for pain relief during pregnancy. As seen on TV - Dragon's Den and This Morning with Dr Chris Steele - this migraine cure is one of the most innovative migraine treatments on the market - offering headache relief, soothing sports injuries and concussions, and providing pain relief during pregnancy when alternatives, ie pills, are not suitable. The Lycra cap covers the whole of the head and eye area, and is filled with specially formulated gel packs strategically positioned to target the areas of the head affected by pain. The Migra-Cap has won the Woman's Own magazine's Product of the Week and can boast of England International cricketer, Mark Butcher, as a devotee. 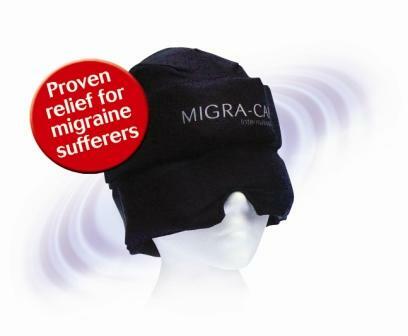 "As a long term migraine sufferer I am delighted to have discovered the Migra-Cap. Over the years I have tried all sorts of over-the-counter cures but nothing worked until I tried Migra-Cap. Good luck." - Mark Butcher. Ergonomically designed for maximum comfort the breathable, flexible Lycra material enables the cap to fit all head shapes and sizes. A cut-away in the material allows users with long hair to pull the hair through for maximum comfort. The Migra-Cap can be stored in a domestic fridge or freezer and the specially formulated gels ensure that Migra-Cap will not freeze to a solid. By taking advantage of our specially reduced rate for a second Migra-Cap, not only do you save money but ensure there is always a Migra-Cap on hand when that attack strikes. 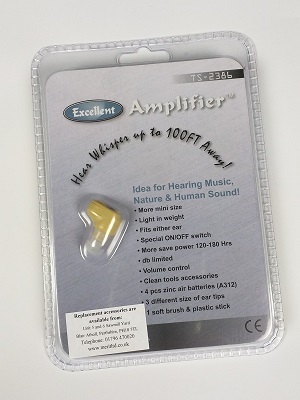 "Thank you for a wonderful product! I used it in conjunction with my painkillers, but the turn around was so quick that I know it was down to the Migra-Cap. It was so lovely to have the coolness all over my head it eased the pain enormously. The best money I have ever spent. Thank you." - Nancy Hall, UK.